I was always sure that TNA Wrestling wouldn’t last through 2011 and I was right…well technically. TNA Wrestling is no more, at least by name. The company officially announced a name change as part of an angle at the TNA Impact tapings. Stop reading now if you wish to avoid any Impact spoilers. TNA Wrestling will now be called Impact Wrestling. TNA’s name change was reported as part of an angle that was taped at the Impact tapings. The name change had been rumored for the last few weeks but will go official when this particular episode of Impact airs on May 12. 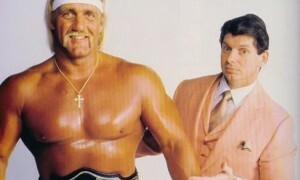 According to a report on F4WOnline.com, Mick Foley had a confrontation with Hulk Hogan and Eric Bischoff during this particular Impact episode. Foley (who wound up being the representative of the “network”) revealed the new name of the company. Foley also said that the new company would feature more wrestling which is the same line of garbage TNA always throws out every time a change on Impact is announced, yet wind up presenting the exact same product two weeks later. Sometimes it seems that TNA takes a lot of unjust criticism from bloggers like me but this whole rebranding story just fuels the fire. TNA Wrestling is struggling right now badly in the ratings. The obvious deduction would be that with lower ratings come lower buyrates, so I think it would be fair to say that if less people are interesting in watching TNA’s free TV show that less people are interested in paying to watch their product. The fact that the company feels that a name change will change their current fortunes is just so preposterous to me that I actually find it funny. The problem with TNA Wrestling or should I say the Impact Wrestling offices is hardly the name. I actually liked the name and it gives their fans a nice little rallying cry, “T-N-A!” The problem continues to be the complete lack of fresh ideas, inspired storylines, and stale talent at the top of the cards. Changing their name will do absolutely nothing in regards to those current issues and appears to be a complete waste of resources for a company that loves to waste their resources. I also find it a bit curious that a company that spent the last nine years trying to establish their corporate brand would change it without good reason. Say what you will about TNA but I think they have done a great job of establishing their identity as an alternative to the WWE. Changing their name to Impact Wrestling is bound to confuse the real casual wrestling fan base and maybe even corporate sponsors. It just seems like a whole lot of wasted time for a company that desperately needs to be using every second of its time wisely. There have been a few conflicting reports today that the name change was for the television show only. From the people I have talked to and the trusted reporters that I do follow, the majority seem to agree that the name change is for the company and not the show. Hulk Hogan sent a tweet out earlier that also reinforced the point. But hey, at least they kept the name wrestling in their name right?